Sign in to your distributor account. Nett Technologies Inc. has received US-EPA verification of its BlueMAX 100 Selective Catalytic Reduction (SCR) system for controlling NOx emissions from mobile nonroad medium and heavy duty diesel engines. The verification is a first of its kind issued for retrofit device under EPA ETV program. Nett’s BlueMAX™ SCR system is designed to control nitrogen oxides (NOx) emissions. 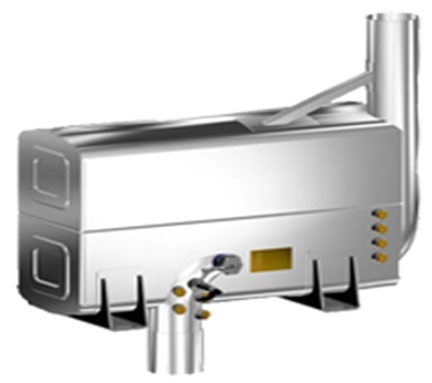 The system uses a urea control strategy that relies on a NOx concentration measurement by a sensor positioned upstream of the SCR catalyst. Based on the NOx sensor signal, in combination with an engine mass air flow sensor and temperature sensor, the necessary urea dosing rate is calculated by the control algorithm. Feed forward NOx sensor-based control strategy, enables the system to be ideal for retrofit applications. 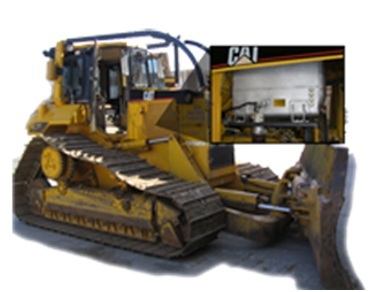 The system can be installed on a wide range of diesel engines and no additional engine calibration is necessary. The Nett BlueMAX™ SCR system also controls diesel particulate matter (DPM), hydrocarbons (HC) and carbon monoxide (CO). Verification testing, over two test protocols; NRTC and 8-mode steady test cycles conducted at the Southwest Research Institute proved that the system reduced NO<SUB<X< sub> by 68-70%, PM by 12-30%. CO emissions were reduced by 87-94% and HC by 99-100%. Nett’s BlueMAX 100 opens new opportunities to nonroad equipment users operating in nonattainment areas or where specified regulations exist for reducing NOx. Nett is known for its ability to provide direct retrofit (catalyst assembly replaces the equipment’s original muffler) solutions in some of the most challenging configurations where the catalyst may be nearly four times the size of the original muffler through an integrated approach of design engineering and manufacturing. The Nett BlueMAX™ SCR system is offered as a direct-fit design. This simplifies the installation and offers a customized cost-effective solution to a sophisticated emission control problem. Reducing emissions from diesel engines is one of the most important air quality challenges facing the country. Even with EPA’s more stringent heavy-duty highway and off-road engine standards set to take effect over the next decade, millions of diesel engines already in use will continue to emit large amounts of nitrogen oxides, particulate matter and air toxics, which contribute to serious public health problems. Use our DEF calculator to determine how much you need! Great support from AirBlueFluids in getting shipments to us on time. "Go Better Than Green, Go Blue!" Copyright © 2010 - AirBlueFluids - All rights reserved. Conforms to W3C Standard XHTML & CSS | Development by Square M, Inc.